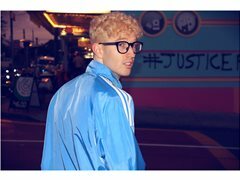 We are looking for a film producer or production assistant to help produce the next music video of singer/songwriter Phil Hancock in Brisbane. We currently have a small film team for the shoot, and we're looking for someone to oversee the whole production as producer. It's a great role if you're looking to build your portfolio, make some connections and get some more experience in production management. Filming dates will be Saturday 8th and Sunday 9th September. A producer to oversee the music video production, including scheduling dates and locations with our artist and crew, and making sure everything stays on track for the days of shooting. Female Models required to Collaborate with Pro Photographer.